A £5m drugs gang used “apparently harmless” middle-aged people driving cars and caravans to try and avoid the attention of cops. Thirteen people involved in cocaine and amphetamine plots were today jailed for more than 60 years at Liverpool Crown Court. Judge Alan Conrad, QC, said the gang’s three conspiracies were “marked by their professionalism and careful organisation”. He said: “Legitimate businesses were used as cover. Taxis were used. Vans were acquired and liveried to appear legitimate. “Cars and caravans were used – driven by apparently harmless middle-aged people in order to avoid attention. 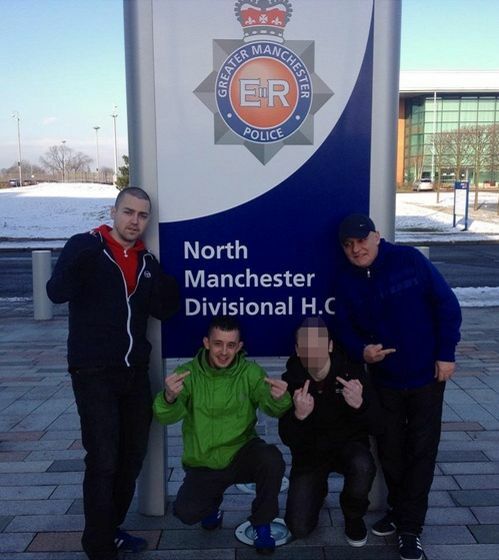 The North West Regional Organised Crime Unit (TITAN) investigated the gang’s activities between February 2014 and June 2015 as part of Operation Pitscale. Simon Berkson, prosecuting, said 47-year-old Paul Berry – who co-owned an internet tickets and events company in Manchester – was the ringleader. Berry’s “right hand man” Stephen Reeves, 48, used his furniture business Skemersdale Furnishings as a cover to transport drugs. Kenneth Pritchard, 67, used his BMW to “transport box loads of drugs” and allowed his caravan, kept in a timber yard in Burscough, to be used to store cocaine. Dean Stephen, 36, was provided with a van “disguised with a false logo” to transport significant amounts of drugs, which he also stored at his home. The court heard Lee Tarry, 33, was stopped by police travelling from Skelmersdale to Glasgow in a taxi on February 14, 2014. Hidden inside a bed – identical to those sold by Reeves’ furniture firm – was 3kg of 60-70% pure cocaine, valued at £720,000. On June 16, 2014, a dog walker found 45kg of amphetamine, valued up to £900,000, in rural Meadow Lane, Ormskirk. Peter Linford, 58, had hired a van, collected the haul and “stashed it in a hedge overnight”, but was caught when he returned to collect the drugs. Reeves and Linford also disguised a Ford Connect van with the logo ‘Auto Valet Direct’ before it was given to Stephen. Officers seized 51kg of amphetamine from this van and Stephen’s home, valued at £514,000, on October 9. 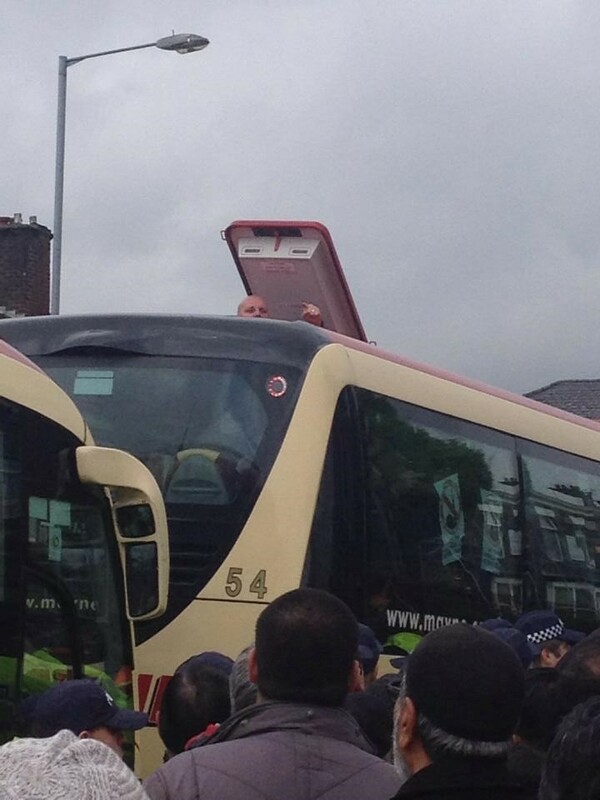 Police stopped drugs courier Warren Bennett, 36, who was driving a tipper truck in Litherland , on December 8. When asked what he meant, the defendant replied “It’s full of whizz”, revealing 46kg of amphetamine, valued at up to £456,000. After months of observing Pritchard, police stopped his BMW X5 on February 12, 2015. Officers recovered 68kg of amphetamine from the car and 2kg of “import quality” cocaine – secreted in a void in a cupboard – from his caravan. nd on April 21, 227g of 83% pure cocaine was found in a car containing Stephen Higgs, 32, Micheal Kairns, 43, and Anoushka Lindsay, 40, on the M6. The gang all pleaded guilty to their involvement in respective conspiracies, with Berry and Reeves admitting all three charges. Berry, of Abbey Walk, Preston, who was on licence for a previous cocaine plot, was jailed for 11 years. Reeves, of Charnock, Skelmersdale, who had no previous convictions, was jailed for nine years. Linford, of Groveside, Edge Hill, was sentenced to four and a half years. Pritchard, of Manor Crescent, Burscough, and Kearns, of Dovecot Avenue, Huyton, were both handed five years and four months. Wright, of The Meads, and Vintin, of Luna Croft, both in Sheffield, were jailed for three years and eight months and three years and four months respectively. Tarry, of Cherrycroft, Skelmersdale was jailed for five years, and Higgs, of Wadeson Road, Walton, for three years. Stephen, of Egerton, Skelmersdale, was handed an extra 12 months on top of an existing three-year sentence. Bennett, of no fixed abode but from Preston, had one month added to an existing three year and four months term. Couriers Martin Cleary, 37, of Shaw Lane, Prescot, and Highfield, of Hollybank Way, Sheffield, received two years behind bars. Lindsay, of Molyneux Road, Kensington, will be sentenced on March 24. The final man out of a group of seven far right sympathisers who beat up anti-fascist demonstrators in Liverpool was jailed after failing to turn up at his original hearing. Nathan Smith, 21, was jailed for 14 months after admitting violent disorder and given an extra month for breaching his bail conditions. On Thursday six men, said to be members or sympathisers of far right groups including the British National Party (BNP), were jailed for between nine and 17 months after they attacked a group of people headed for a benefit gig at News From Nowhere on Bold Street in July 2012. Smith, of North Road, St Helens, failed to attend and a warrant was issued for his arrest. Police picked him up at his home later that evening. Patrick McLoughlin, defending, told the court that he had got his dates mixed up despite his mum being present at court on the right day. 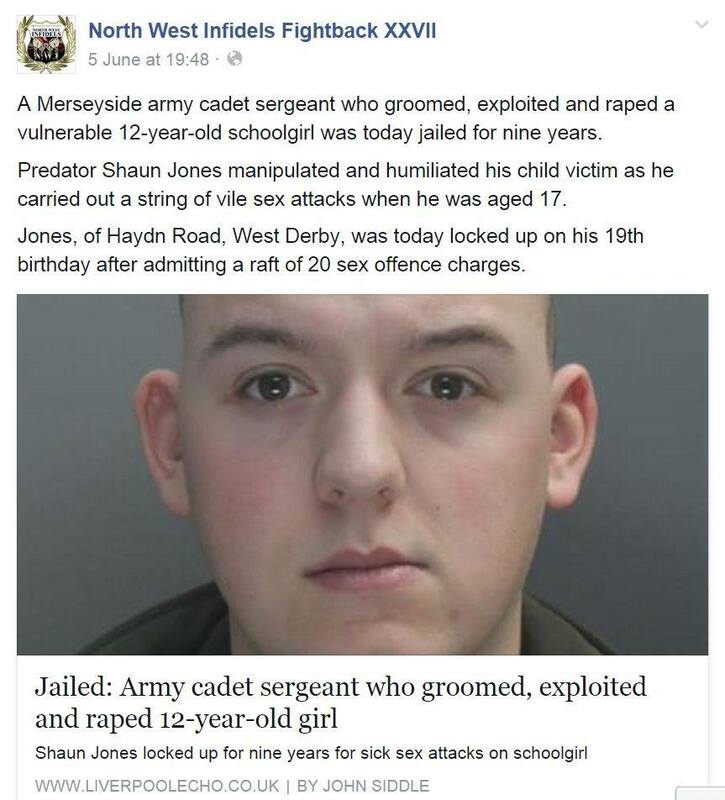 He said Smith, an almost-qualified central heating engineer, originally from Huyton, had found his life going in a “reverse direction” after his parents split up and found support in the “family of the BNP”. Smith was one of the men in the thick of the fighting which crashed into cafe Tabac on Bold Street on July 6 last year and was caught on camera punching and kicking at least two victims, one of whom was on the floor. He added that Smith was “fairly and squarely” involved in the fighting. 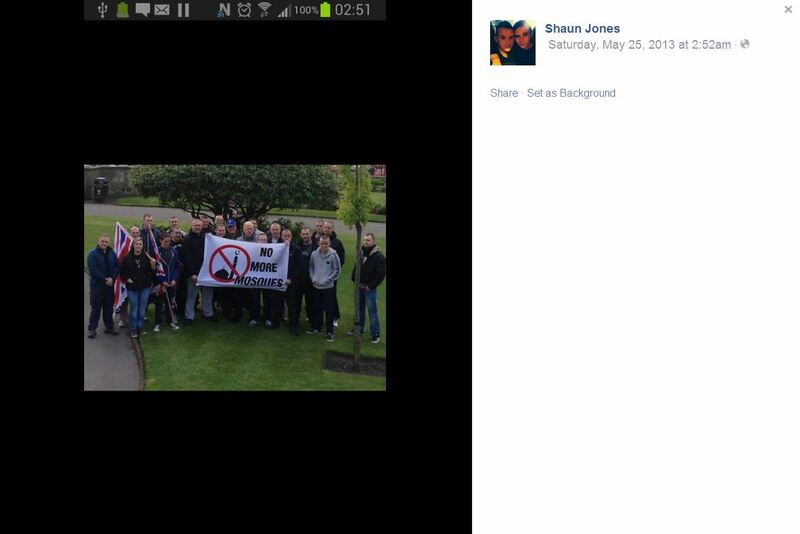 Six far-right sympathisers who ambushed people going to an anti-fascist benefit gig in front of shocked city centre onlookers have today been jailed. The men pleaded guilty to violent disorder following an incident in Liverpool city centre on 6 July 2012. Liam Pinkham, 35, from Birkenhead, was sentenced to 17 months in prison. 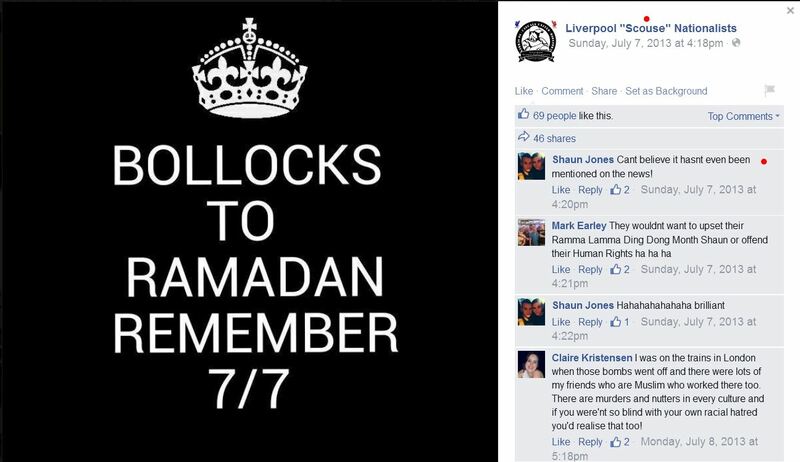 Michael Kearns 41, from Liverpool, was sentenced to 14 months in prison. 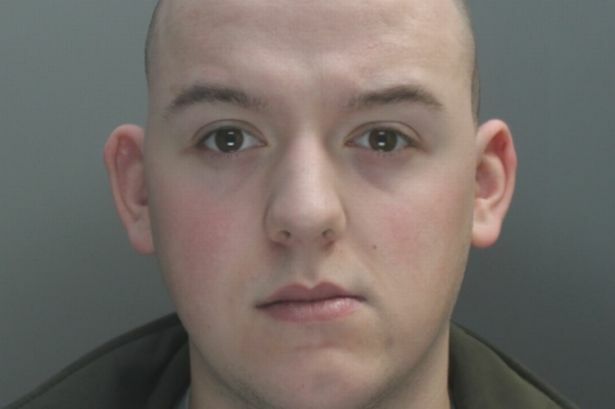 Matthew Coates, 22, from Southport, was sentenced to 10 months in prison. 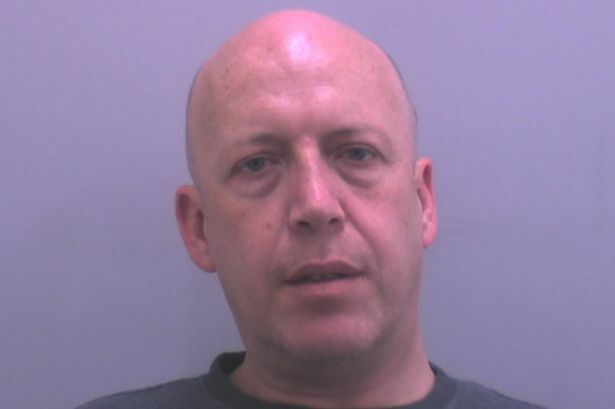 Peter Hawley, 53, from Blackburn, was sentenced to 13 months in prison. 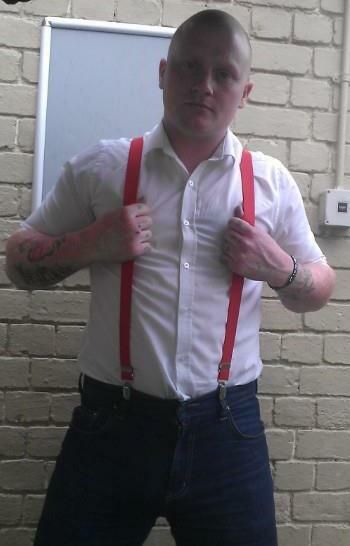 Shane Calvert, 32, from Blackburn, was sentenced to 14 months in prison. Stephen Dumont, 18, from Netherley, has been sentenced to 5 months detention in a Youth Offenders’ Institution for this offence and a further 4 months for an offence of racially aggravated assault. Nathan Smith had pleaded guilty to violent disorder at an earlier hearing but failed to turn up to court today and a bench warrant has now been issued for him. 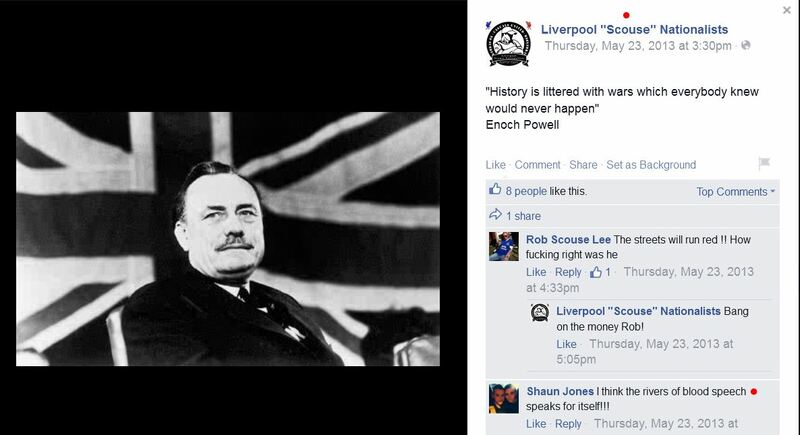 During the case, the court heard that the men shared right wing views and had meant to disrupt an anti-fascist group benefit gig at the News from Nowhere bookshop in Bold Street in Liverpool city centre on 6 July 2012. The defendants attacked members of the anti-fascist group as they walked up Bold Street and in the Tabac bar and cafe, which is near to the News from Nowhere bookshop, shortly before the benefit gig was due to begin. After the sentences were handed out, Helen Morris, Senior Crown Prosecutor with the Crown Prosecution Service, Mersey- Cheshire, said: “The violence used by the defendants on that day caused real fear among the ordinary members of the public who just happened to have the misfortune to be in the area.